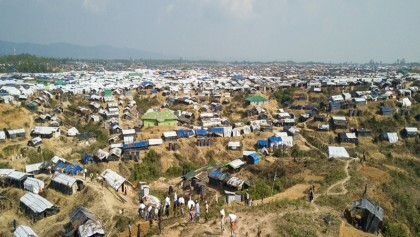 The Economic Relations Division of the finance ministry, the foreign affairs ministry, the Security Service Division of the home ministry and the land ministry are scrutinising a proposal to transform 'Thengar Char' into an ‘artificial island’ for resettling the Rohingys refugees staying at different camps in Cox's Bazar. 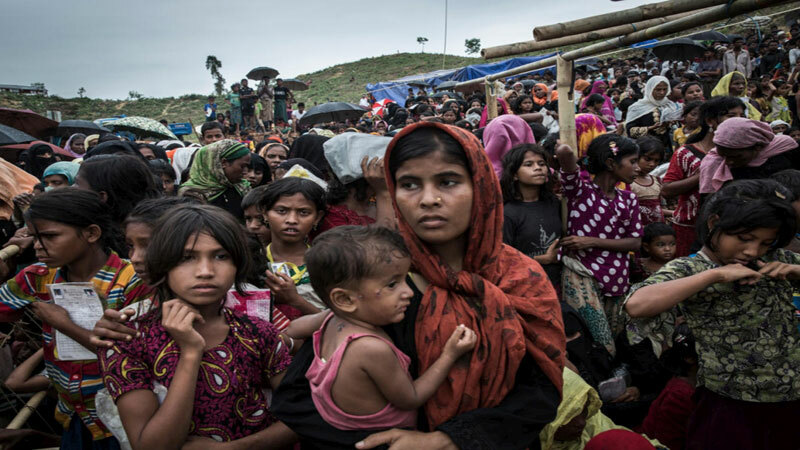 The commissioner of Refugee Relief and Repatriation Commission (RRRC) and the deputy commissioner (DC) of Noakhali are also scrutinising the same proposal. The Economic Relations Division (ERD) has recently sent the proposal, forwarded by Japan University professor Katsuy Kilmoto, to the ministries, the RRRC and the DC of Noakhali, seeking their opinion on the matter. ERD joint secretary (Japan desk) Abdul Baki yesterday told The Independent that Prof.
Katsuy Kilmoto, chairman of the Japan Myanmar Future Conference, recently met with the finance minister and submitted the proposal. “The minister asked us to take opinions from the ministries concerned in this regard. That’s why we have sent the proposal to the ministries,” he said. “We'll take a further step in this regard after getting opinions from the ministries concerned,” he added. RRRC commissioner Mohammad Abul Kalam said they will send a report after checking the proposal. “At present, the Bangladesh Navy is preparing Thengar Char for the shifting of the Rohingyas from the camps of Cox’s Bazar,” he added. “We're trying to shift the Rohingyas to the char,” he also said. “Japan has the technique and experiences to build up artificial islands," the proposal mentioned. “To build up an artificial island, all the garbage in Bangladesh should be used for landfill. It'll also clean up the mainland. Myanmar should chip in by supplying sand, soil and stones. It can also help by supplying its own garbage. This will help establish a good relationship between the countries. Japan can act as a mediator between Bangladesh and Myanmar,” it added. Thengar Char, also known as Bhashan Char, in the Bay of Bengal is going to be the temporary rehabilitation centre for ‘Rohingyas’ from early next month. Prime Minister (PM) Sheikh Hasina was scheduled to visit Bhashan Char on October 3 last year to start handing over ‘cluster houses’ to some Rohingya families. But she proponed her visit at the last moment. “It is possible to accommodate 102,000 Rohingyas in the 120 cluster villages constructed by the Navy under the ‘Asrayan-3 project (construction of residences and necessary security infrastructure for the housing of forcibly displaced Rohingyas in Noakhali’s Hatia),” he added. Bhashan Char is located in the estuary of the Meghna river. It takes about 90 minutes to reach Hatiya Island from Noakhali on the mainland. From that island, a speedboat takes 30 minutes to get there.